Are you able to spend one hour a week sharing your faith with the youth of the parish? Our next Baptisms will be celebrated on Sunday, September 16 at 12 noon. 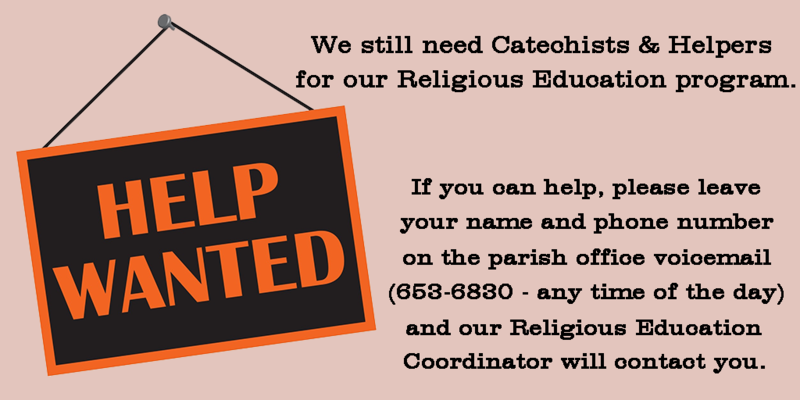 Please call the parish office (653-6830) to register. 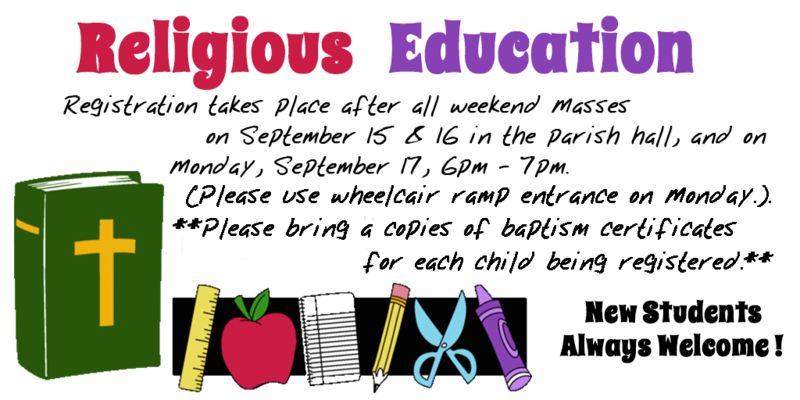 Don’t forget to register your children for Religious Education classes. The Legion of Mary meets in the parish hall every Thursday at 10:30am. All are welcome. Our Adult Choir will begin practice on Wednesday, September 12, 7pm, in the choir loft. New members would be welcome. Mass on Wednesday, September 12 will be celebrated at 5:30pm. This change is for this week only. 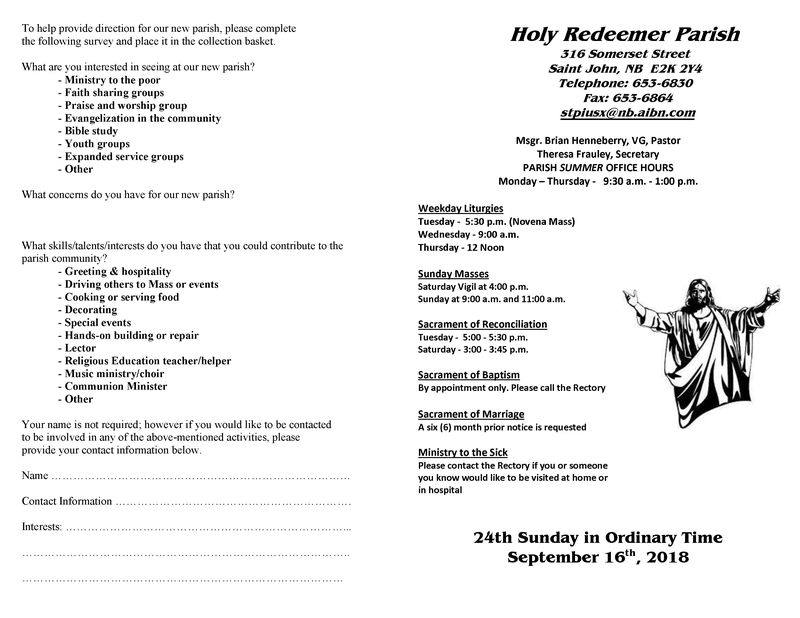 The parish’s fundraising and special events group will meet Sunday, September 9 in the church following the 11am Mass. New members are welcome. Parish Socials will be held on Sunday, September 9, following the 9am Mass & on Sunday, September 16, following the 11am Mass, to allow parishioners to meet and connect, thanks to the Martha Guild. All are encouraged to attend. The survey that appears on the back page of this week’s bulletin can also be completed online HERE.